Not actually this recipe, but it is a nice picture, isn’t it? 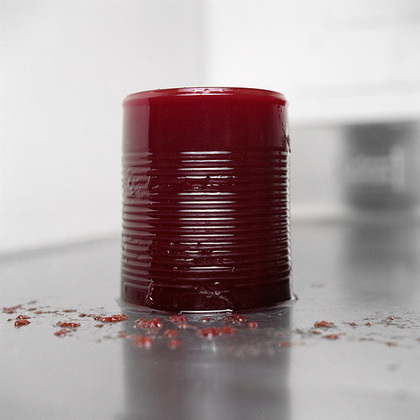 Throughout my childhood and a few years beyond, a turkey dinner, Thanksgiving or otherwise, always called for cranberry sauce. 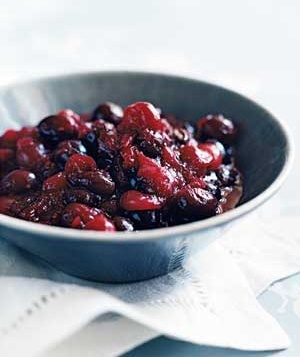 And that sauce was Ocean Spray jellied cranberry sauce. It was good enough, traditional and a comfort. No one in my family, or my wife’s for that matter, ever suggested we try something different. Then four years ago, I came across this recipe. I’d like to credit it, but I cannot remember the source. I wrote it down on a 3 x 5 card. I made it in 2009. We loved it, our company loved it, so my wife asked me to make it again the next year. Alas, try as we might, we couldn’t find the card with the recipe. So back to Ocean Spray we went. Then during the next year, during one of those clean-ups where you empty boxes you’ve ignored for a long time, the recipe turned up. I made it and it was as good as ever. It’s a very simple recipe, and it keeps for months in the refrigerator, especially if you put it in a mason jar or one of those glass jars with the wire locking lids. So, here it is. I bet if you make it, you’ll make it again. Not nearly as pretty, eh? I call this recipe the beast because the first time I made it some 24 years ago I used 6 tablespoons of butter, 6 tablespoons of hot sauce and 6 tablespoons of honey for the sauce. 666 is the sign of ‘the beast,’ the name for the devil during the middle ages. How many tablespoons of each you use depends on how many wings you’re making and how plump they are. This recipe is for 2 packages of Purdue Wingettes, my choice because they are plumper and meatier than most supermarket whole wings, and you don’t have that wasteful tip. If you do use whole wings, chop them into sections. Use the tips to make chicken stock, not in this recipe. I use Frank’s Hot Sauce because it doesn’t have the undertaste that I find in Tabasco. Use your favorite. Walmart’s Great Value would do fine. Crisp the wing sections under your broiler being careful not to burn. About 5 minutes 3” from flame on each side should do, but monitor carefully because broilers vary greatly. Make sauce by melting butter in a saucepan and then adding hot sauce and honey. Bring slowly to a boil, stirring frequently. 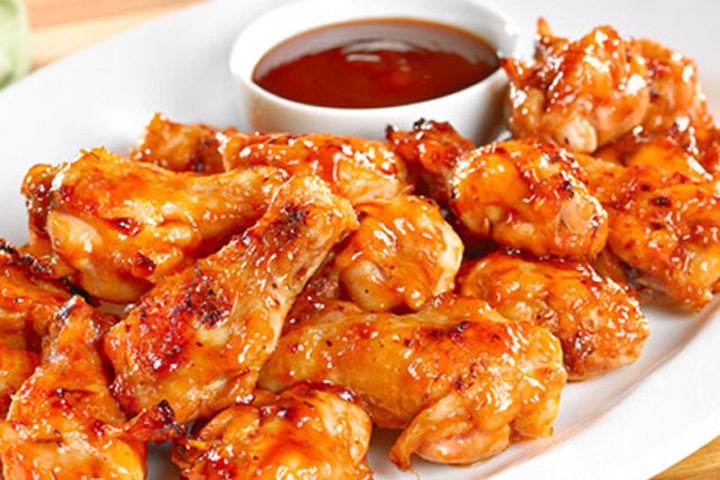 Place wings in disposable aluminum pan, cover with sauce. Bake covered in a low oven (250 degrees) for at least an hour or up to an hour and a half. Wings may be prepared a day ahead, refrigerated and reheated at the time of serving. This recipe is more about assembling than cooking. It combines elements of foods that are favorites for game-watching, including tacos and nachos. Brown meat, drain off excess fat, add seasoning, tomato sauce and water according to package directions. Cover a 14” microwaveable platter with the chips. Top with the seasoned beef. Top beef with salsa according to what you can take. Place the sliced olives, chopped tomatoes and onion randomly all over the meat. Sprinkle the grated cheese to cover the assembled platter and place in the microwave until cheese is melted (alternately, you can place under oven broiler being careful not to burn). Use a pie server to make individual portions on smaller plates. Crispy on the outside, and the lemon sauce is amazing! In a large bowl beat eggs at high speed until frothy and bubbles are pinhead-sized. Add next 5 ingredients and beat until combined. Beat in milk, then add pecans. This mixture may seem too sweet but the bland bread will balance it out. Put bread cubes in greased loaf pan, add egg/milk mixture and toss until well blended. Let sit about 45 minutes as bread soaks up mixture, tamping down lightly with your fingers periodically. Place in 350 degree oven, immediately lower to 300 and bake 40 minutes. Raise temp to 425 and bake until well-browned and puffy, about 15 to 20 minutes more. Remove and cool on wire rack. 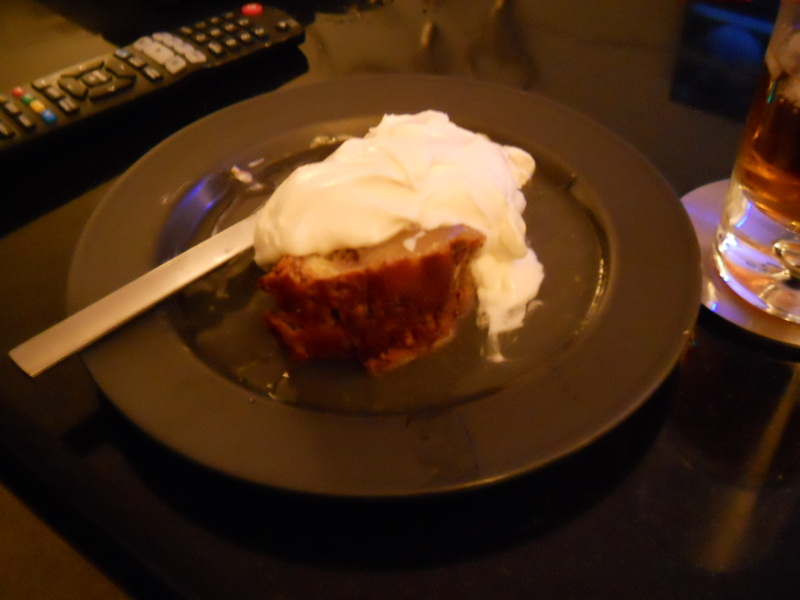 To serve, remove pudding from pan, slice 1” piece, top with 2 T warm Lemon Sauce and a scoop of Chantilly Cream. Squeeze lemons into 2 quart saucepan straining out pits. Add the water and sugar and drop in the lemon halves. Bring to a boil. Stir in the cornstarch mixture and the vanilla. Cook about 1 minute, stirring constantly. Transfer to pouring bowl or small pitcher, squeezing and straining out the lemon halves. Chill a large bowl and beaters. Beat the cream, vanilla, brandy and Grand Marnier on medium speed about a minute. Add the sugar and sour cream. Beat until soft peaks form. Do not overbeat or the mixture will become grainy. The combination above will serve 6 to 8. The lemon sauce should be warm and the cream ice cold. Enjoy. recipes? club news? personal announcements (like weddings, births etc) How about important dates of meetings and such?